Much research has been dedicated to studying the effects of climate change and global warming on the Antarctic ice sheet and sea levels; but the same can't be said about the ice-free parts of the region, which cover less than 1% of the continent. Australian researchers modelled the potential effect of climate change under two Intergovernmental Panel on Climate Change climate-forcing scenarios. Their findings suggest that under the more radical of the two scenarios, the ice-free areas in the Antarctic can expand by as much as 25% by the end of the 21st century. 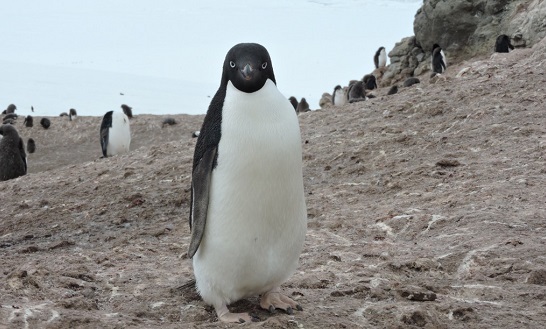 expansion of habitat space can be viewed as a positive outcome, researchers say that sticking to the protocol that aims to reduce global temperature increases will help maintain the current biodiversity in the terrestrial Antarctic regions. Permanently ice-free areas are home to almost all of Antarctica's biodiversity. Jasmine Lee and colleagues model the potential effect of climate change on the extent of ice-free areas in Antarctica over the coming century, under moderate and severe forcing scenarios. Ice-free areas are projected to expand by over 17,000 km2 under the strongest forcing scenario. The greatest change can be expected in the Antarctic Peninsula, where a threefold increase in ice-free area is projected. The authors suggest that the expansion and eventual merging of ice-free areas could have harmful consequences for the biodiversity of the continent by facilitating the homogenization of biodiversity across regions.